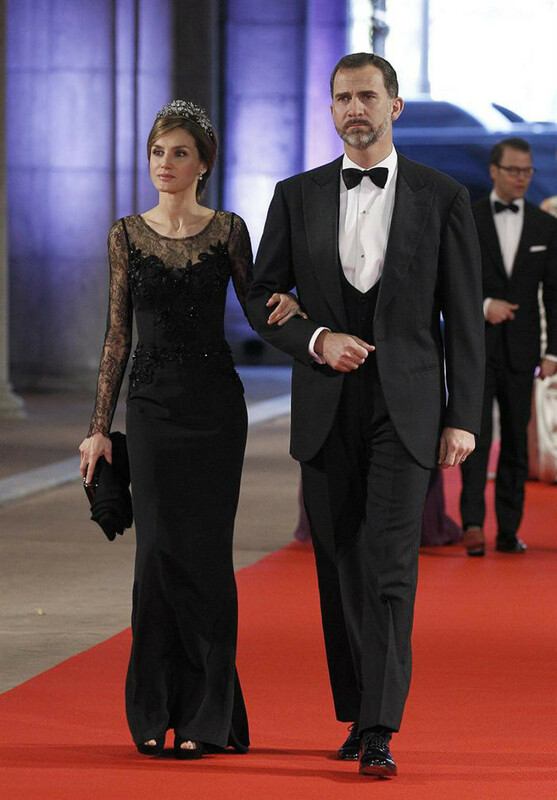 Prince Felipe and Princess Letizia were at the opera at the Gran Teatre del Liceu in Barcelona, where republican sentiment can often run deep. 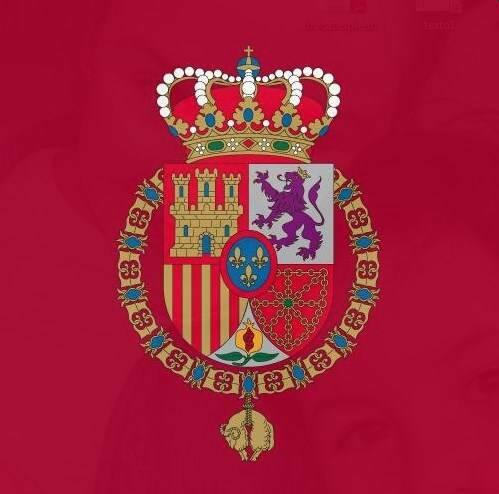 Newspaper El Mundo posted a video, which shows how strong people can feel for an against the Spanish Royal Family. People shouldn’t be surprised, however. 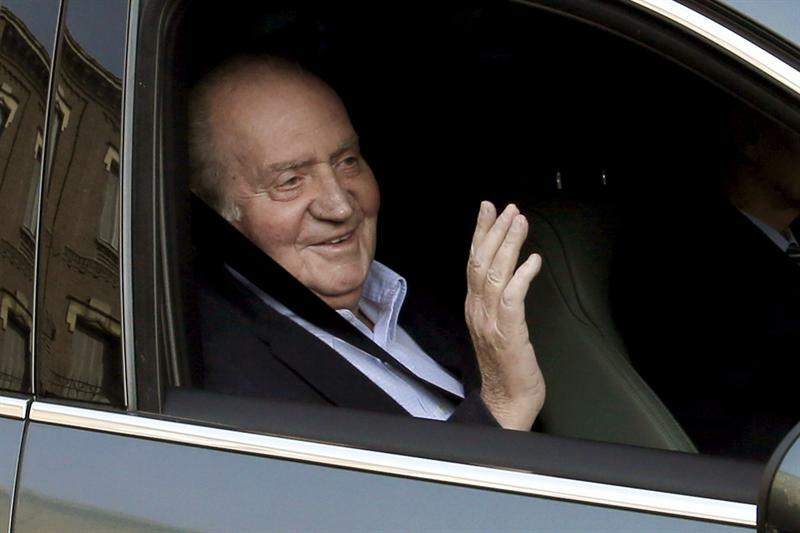 During the transition to Democracy, King Juan Carlos and Queen Sofia were often greeted with jeers and screams, especially in places like Catalonia and the Basque Country. 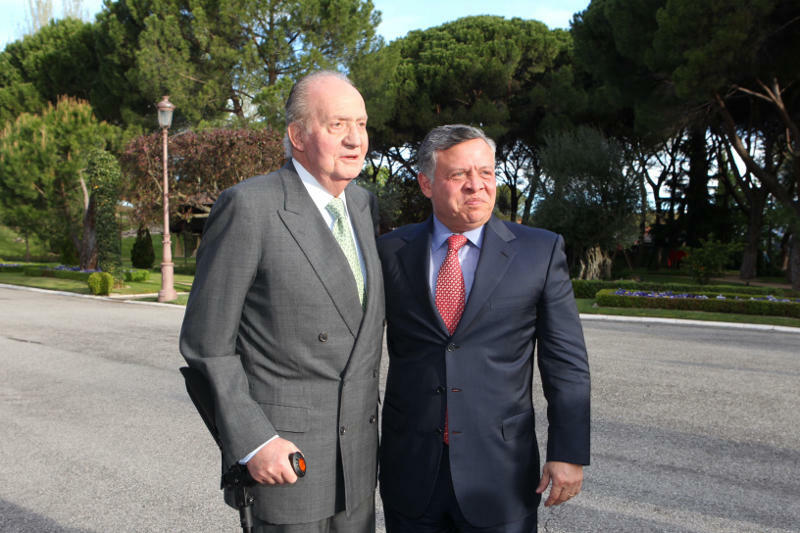 In recent days King Juan Carlos has met with Austrian Chancellor Werner Feymann and Guatemalan President José Mujica. 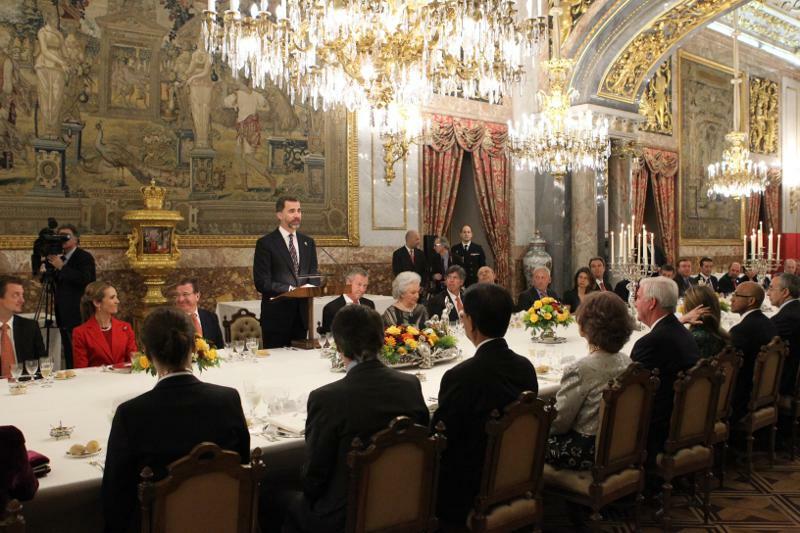 A small meal for President Mujica at Zarzuela Palace. 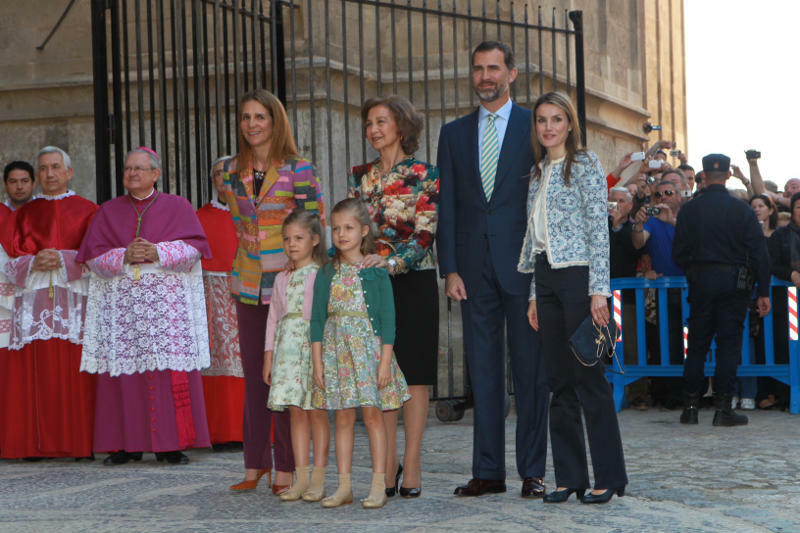 Members of the Spanish Royal family attended Easter mass yesterday at the Mallorca Cathedral in Palma de Mallorca as part of a long standing tradition. 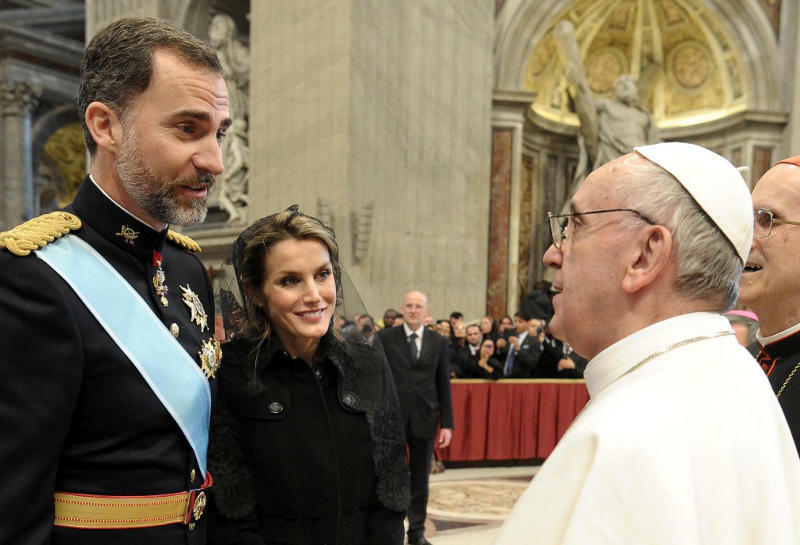 Queen Sofia, Prince Felipe and Princess Letizia, and Infanta Elena attended the services. Also there were young Infanta Sofia and Leonor, who may one day become queen. 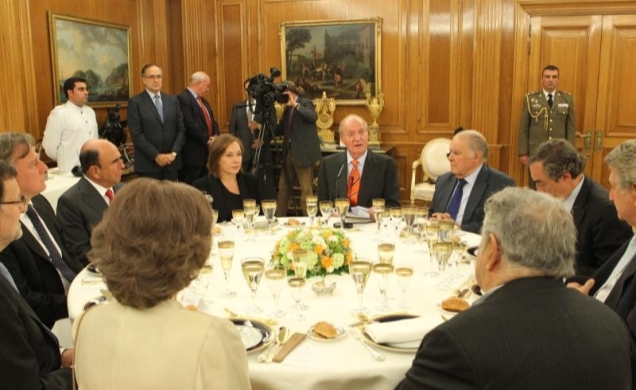 Infanta Elena, the Duchess of Palma, did not attend amid her husband’s corruption investigation. 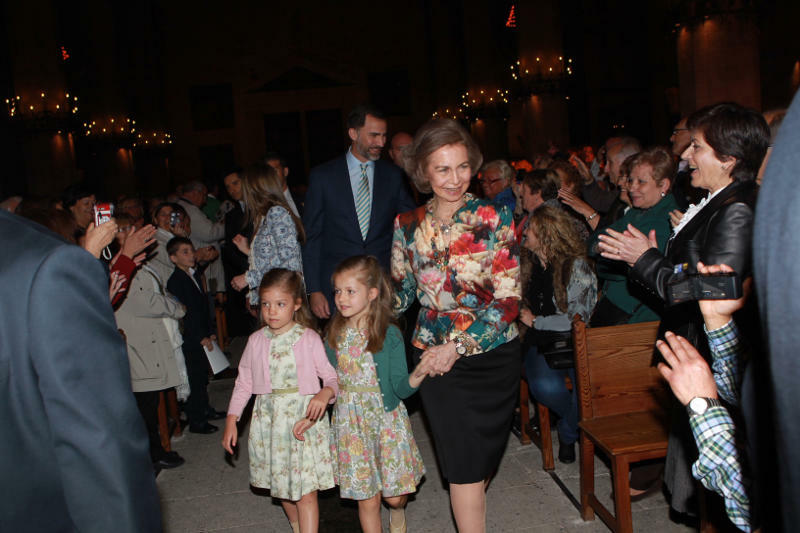 The Duchess of Alba also celebrated Holy Week and her 87th birthday with a public outing. Click here for an Hola photo gallery from Seville.